The micro-startup movement is strong in tech, and in aviation there have been a few noteworthy successes, as well. But having a great idea and getting it funded and rolling are two different things. Where does one get help with kickstarting (not a plug) their idea? Well, AirVenture, for one. EAA AirVenture will kick off Day One with a roundtable discussion called “Funding Your Dream,” which will feature a number of aviation-tech industry figures who will share their stories about how they got “from idea to market.” Hosting the panel will be AeroInnovate, which is a company known in the tech world as an “accelerator,“ that is, a company that helps get great ideas moving and moving fast. The discussion takes place on Monday, July 23rd; at the Aviation Gateway Park Forum’s tent at 4 p.m. Participating will be moderator Tom Perkowski, co-founder of Eagle Cap Software, an AeroInnovate alumnus company; and panelists Tom Burden, CEO of Grypmat, and Eric Bartsch, COO of VerdeGo Aero. The investors will be Martha Cosgrove, an investing analyst at Boeing HorizonX and Rich Leamon of Space Angels. Should be a riveting discussion of the state of GA startup funding whether you’re in the market for venture capital or not. And who knows, maybe the conversation will get you in the mood to dust off that great idea and finally get if flying, financially, that is, not aerodynamically. 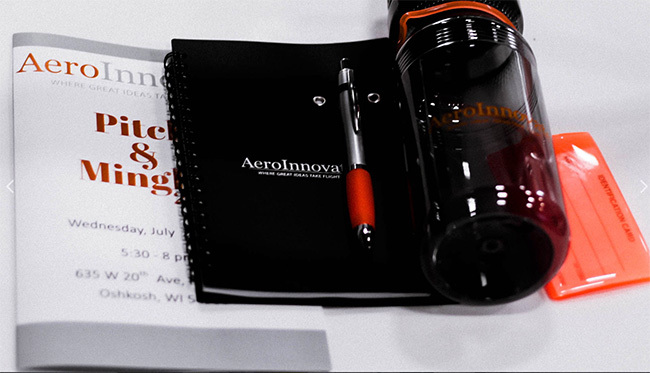 For more details, go to aeroinnovate.com.